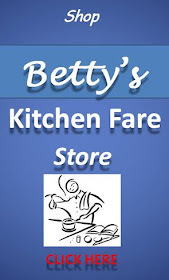 Betty's Kitchen Fare: Betty defends British food! So here is another one of my pet peeves: complaints about British food. 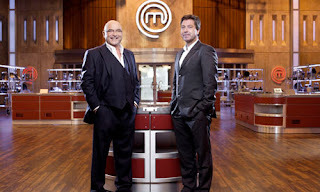 I have just watched a series on BBC America called UK Master Chefs - The Professionals. I don't think I have ever seen the equal of the food prepared by the chefs on this show. The competitors were brilliant - especially when they had to go into the kitchens of Michelin starred restaurants and prepare some of their signature dishes. Perhaps Heston Blumenthal goes a bit over the top when his seafood appetizer is accompanied by a conch shell and earphones so you can hear the sounds of the sea while eating and do you really need to be sprayed by a "woodsy" mist to fully appreciate a deconstructed Black Forest Torte???? Maybe not, but his food is amazing. So no more denigrating British food please! 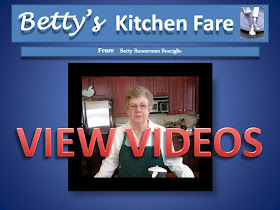 And if you have access to the BBC America, do watch some of their food programs. Here is one episode (more on YouTube if you don't have the BBCA channel).